The above gallery shows some of our black composite decking boards application projects. 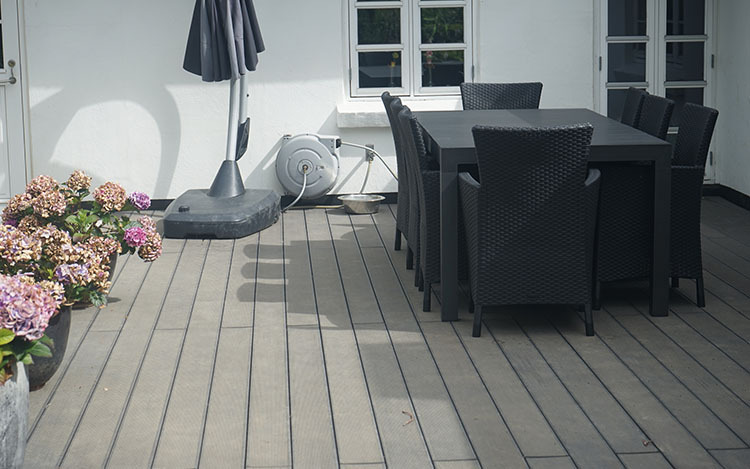 Black WPC decking is one of our popular styles. Compared to traditional wood, we added black to the decking manufacturing process. It can make the deck like traditional wood cutting, grinding at the same time can retain its original color, do not need to paint color. Black composite decking boards are made of natural wood fiber and environmental polymer and are extruded by thermoplastic high pressure. 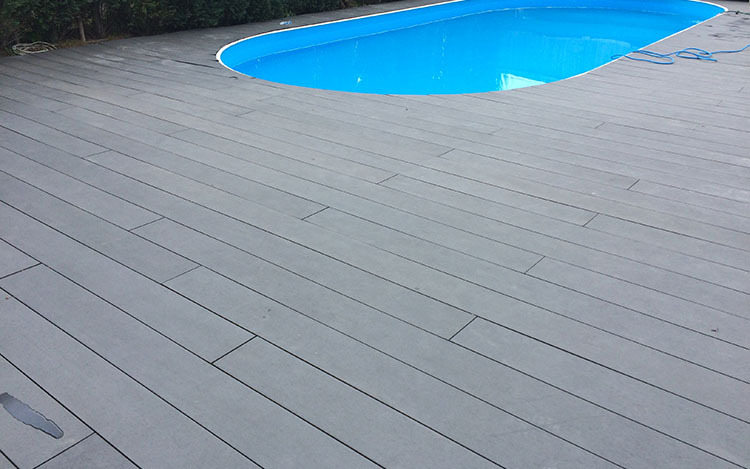 In addition to black, we can make different colors of WPC decking according to your requirements. 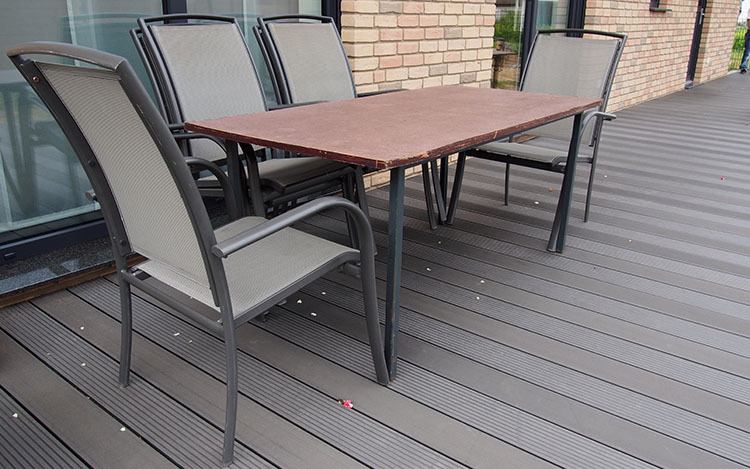 The wood fiber inside the WPC decking can achieve the natural wood grain effect. While the added polymer greatly improves the stability and durability. The support bracket at the bottom of the deck is made of stainless steel material and hidden design, which can be easily installed. Black composite decking boards provide both solid and hollow internal structure design to meet different usage requirements. The surface uses two kinds of surface treatment, one side is the groove anti-slip treatment, one side is the flat surface, can freely choose one side to install. In the later stage, you only need to wash with soap and water once in a while to keep the deck on top. Learn more about black composite decking boards to click on our product page or contact us directly.